This week, we have another special introduction as our featured site of the week. This is special because there is also an opportunity here for you. AleRT is Not A Gallery is an organisation that supports and promotes contemporary arts projects, and in specific, interdisciplinary, site specific works that use a multidisciplinary dialogue and exchange to explore ideas of freedom, expression and innovation across multicultural boundaries. With bases in London, Venice and Los Angeles, AleRT is Not A Gallery will be hosting its very first project in London, in November this year. That first project is Yellow. 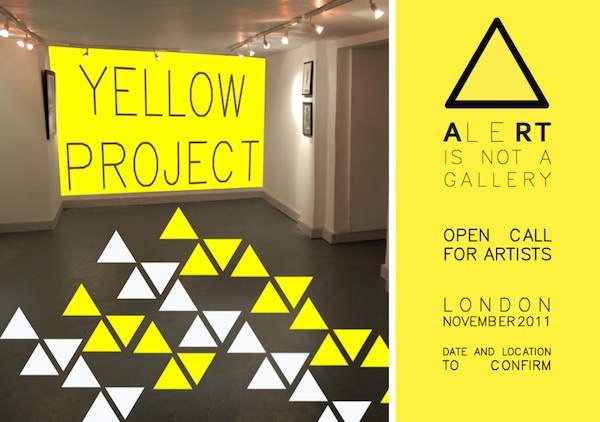 AleRT is Not A Gallery is active in organising events, exhibitions and performances, and they currently have a call for artists who would like to be involved in their Yellow Project this November. The Project will be a large scale installation, formed from the artworks of selected artists who explore the power and meaning of yellow as colour and cultural signifier, and what it has come to mean to us. The requirements for each artist is that they need to produce an artwork composed of a minimum of one, to a maximum of eighteen modules. 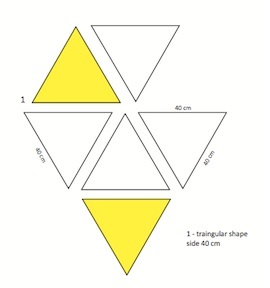 Each module must be an equilateral triangle, of which each side will be 40 cm in length. The modules should be comprised of lightweight material like paper or thin board and should have the artists name, name of the work, signature and price on the back of the work. All media is permitted in creating the artwork upon the module. While there is no commission taken on sales of the work, there is an administration fee for being part of the project, which is based on the size of the artwork produced. For 1 - 3 modules, there is a £10 fee, for 3 - 6 there is a £15 fee and for 6 - 18 modules there is a £20. If you would be interested in finding out more about the project, please visit the AleRT is Not A Gallery website, or you can download the application PDF which has everything that you need to apply. 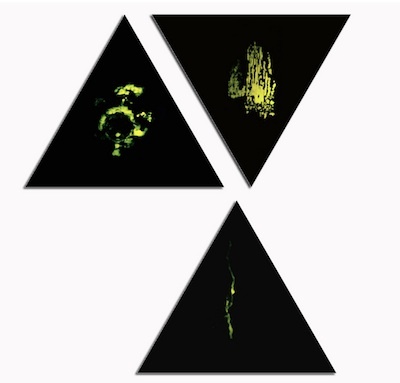 We look forward to seeing what comes of the Yellow Project, and where AleRT is Not A Gallery will be heading next. *Example work by Claudia Campus. Titled, Psychedelic Urban Landscape.